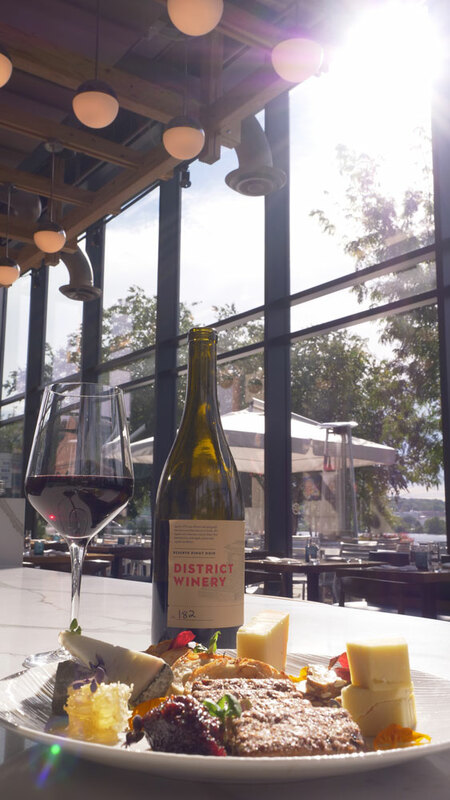 District Winery is DC’s only commercial winery, a mixed-use space that opened in summer 2017 and includes a tasting bar, production facility, event space, and restaurant. 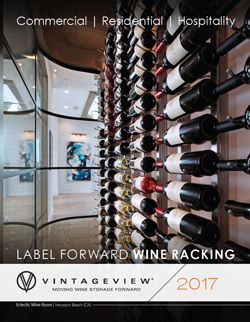 It features two massive, glassed-in wine towers that hold 3,800 bottles on Wall Series wine racks and Floor-to-Ceiling Frames. Here’s how the project unfolded, according to lead designer Bill Young of HapstakDemetriou+. This project was featured in the 2019 catalog. Get yours! 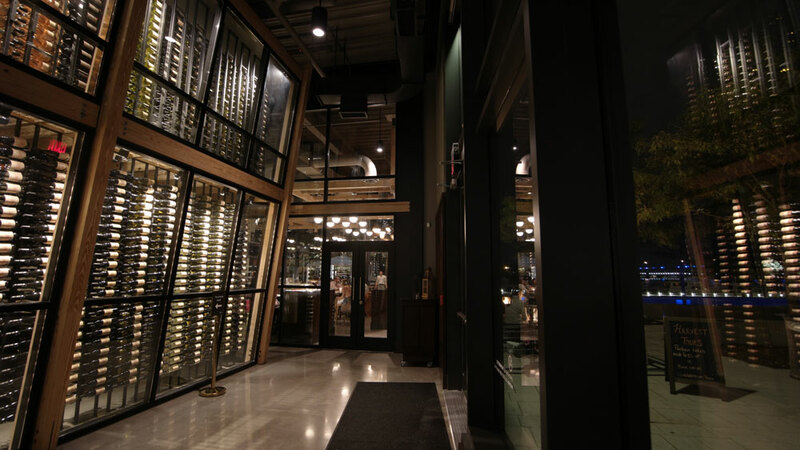 The 17,000-square-foot project required a street level view into the winery and its wine cellar, meaning glass exterior walls on three sides. 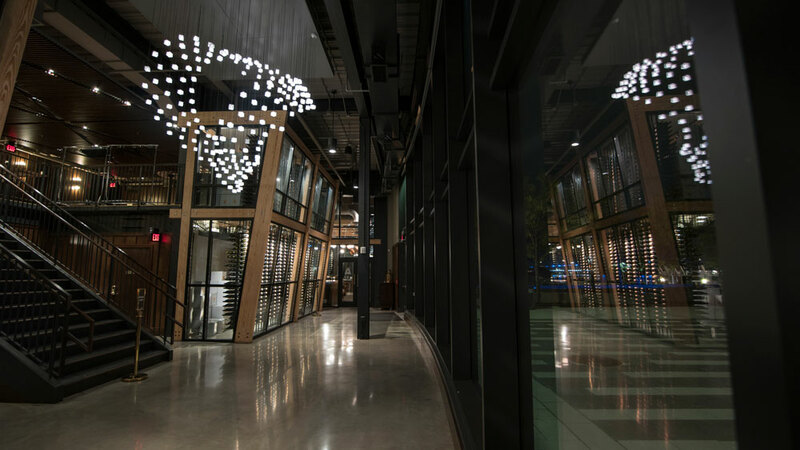 Since natural light doesn’t mix well with winemaking equipment and storage, planning the interiors took a delicate balance of aesthetic intuition, light study, and cooling system management to create functional and beautiful winery, storage, and dining spaces. 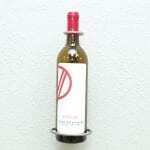 Planning included angling the wine cellar glass from its base, eliminating direct natural light exposure. 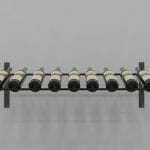 A smart wine storage cooling system was developed cycling the same glycol coolant used to chill wine tanks in the production areas. 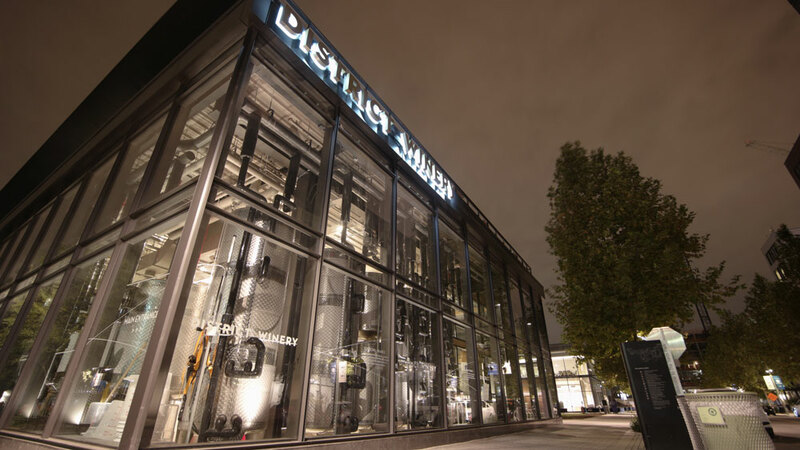 Simply, Young and the team had to balance the contemporary industrial feel of the exterior heavy in glass and metal and ensure the unique spaces — production, event, restaurant — all felt cohesive. With the mix of a mezzanine level that elevates guests high into the space and the amount of piping and product equipment required by the working winery, Young had to consider how the space looked from a lot of different angles. “We needed to play a lot of sight-line maneuvering,” he says. 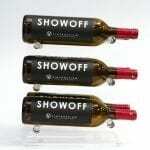 Slanted glass eliminates direct light on the bottles. Designers had to design from many perspectives due to sight lines created by a mezzanine. Even with the great design, guests do come for the food and wine. 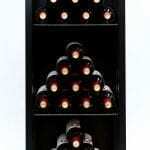 The wine cellar design had to match the beautiful exterior.